Special Fathom Feature: “Disney Junior at the Movies – Mickey’s BIG Celebration” is coming to a cinema near you tomorrow, 11/12! Come celebrate Mickey’s Birthday and be the first to see Mickey’s all new series Mickey and the Roadster Racers on the big screen. You can sing and dance along with all your Disney Junior favorites, so grab the wheel and join the fun! 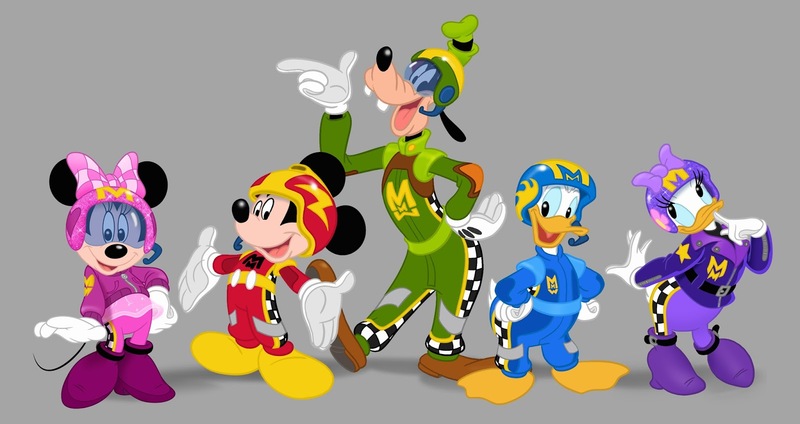 "Mickey and the Road Racers" is an all-new series. Mickey and the gang now run a super-cool garage where they take care of their brand-new, transforming roadsters, as they get ready for races around Hot Dog Hills and around the world! When they’re not on the road with Mickey competing for trophies, Minnie and Daisy run their own business, “The Happy Helpers”, solving problems for anyone needing a helping hand. Minnie’s skills know no limits and her style will still be as fashionable as ever. 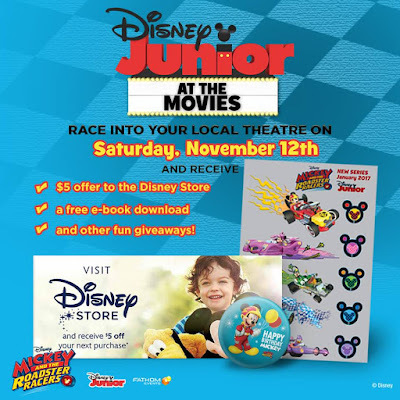 Kids and families will be racing into local theaters to be a part of this fun and interactive experience designed especially for Disney Junior fans! Purchase your tickets here!